What was the Goal of Panda? In this part of the Google Updates series, we’ll take a look at Google’s attention-getting Panda Update. Many steps that Google had taken previously, including the Attribution Update, were hinting at Google’s increased focus on quality. Google aimed to provide users with higher-quality results in this update. If you were searching for a solution for a complex health condition, results from a federal government website should rank above other general information sites. This wasn’t always the case in the past. The update was targeting content farms like Associated Content. If you’re not a techie, you might be wondering what a content farm is. Content farms pay writers a very low wage to produce large amounts content. The content is then designed to take advantage of the current search engine ranking methodologies to rank as highly as possible. While the content may have ranked highly, quality was never a concern for these sites. You could write just about anything you wanted. Since Google’s goal is to return the best possible results to its users, the rankings of content at these sites were lowered. Neither of Google’s spokesmen, Amit Singhal or Matt Cutts, would officially say they were aiming at content farms. But, they did say that people knew what kinds of sites were targeted. How much of an Impact Did Panda Make? The Panda Update made a huge impact! It affected about 12% of all searches performed. Many websites experienced deep traffic and rankings losses. One observation made by Jill Whalen of Highrankings.com was that sites with a large amount of content hidden behind tabs also experienced a loss in rankings. You’re familiar with those kinds of sites. These are the ones where you have a menu across the top of the page, with what appears to be file-folder-like tabs. Google chooses to see sites with tabs as one large page. Since Google chose to see those sites as one large page, they appeared to not be user-friendly. Google then lowered the rankings of these sites. An additional observation she made was that the rankings of those “merry-go-round” sites were also lowered. You’re familiar with this type of site too. You’ve clicked on a result in Google, only to be sent to a page that didn’t show what you say in Google’s search results. Then, you clicked on a link at the website. Then you realized you either clicked on an advertisement or another link that takes you to somewhere else you didn’t want to go. Everyone can thank Google for lowering the rankings of those sites! 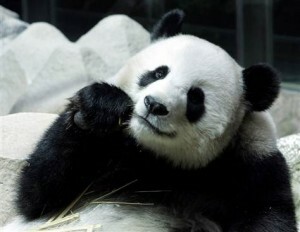 Basically, the Panda Update aimed to improve the quality of Google’s search results. And, Google is only interested in continuing to increase that quality. If you’ve owned a website for some time now, or if you’re planning to start one, Google has made it clear that your first concern should be quality content supporting quality seo. IF you found this information even kind cool or useful, Thank us by leaving a “REAL COMMENT” ! THEN LIKE, FOLLOW and Share!